To maintain the guttering system in the property you live, work in or offer for lease you can use the qualitative cleaning services which we offer. Our company specialises in professional gutter cleaning available in Hampstead and nearby. It is very important to carry out regular cleaning of the drainage system of your estate annually or more frequently to keep it in perfect condition, cleared of blockages and debris. We can offer you effective hoovering of downpipes and gutters which we provide at competitive prices every day in the week. Use our services once or several times each year and you won’t have complaints as far as your guttering system is concerned. You can use our services whenever you need cleaning of the gutters of your property to rid them of the debris, wastes, leaves, moss and other growth which they have collected. Over time downpipes and gutters can easy become clogged and obstruct the removal of rainwater from the property. If you use our services regularly as often as needed you will have excellently and long time functioning systems. Our technicians use telescopic poles to which are attached a dry or wet cleaning machine that provides the cleaning. They also attach a tiny camera to the equipment to supervise the cleaning process and control it effectively. 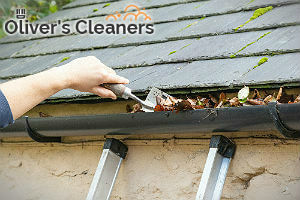 Use our inexpensive and reliable gutter cleaning services provided within NW3 at reasonable prices. You will be pleased with the end result and your property won’t have leaks and blockages of the guttering system. 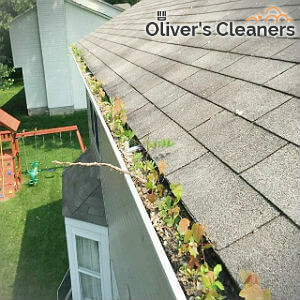 Being exposed to the elements, it is not unusual for gutters to get filled with leaves, moss, and wastes which obstruct the flowing and removal of rainwater from the property. If you rely on our workmen and use our services, the gutter cleaning you will receive will ensure you unclogged and functional systems. Our company offers high-quality gutter cleaning services which can be used in Hampstead, NW3 by tenants, homeowners, landlords and holders of all kinds of estates. We guarantee you excellent outcome of our work.